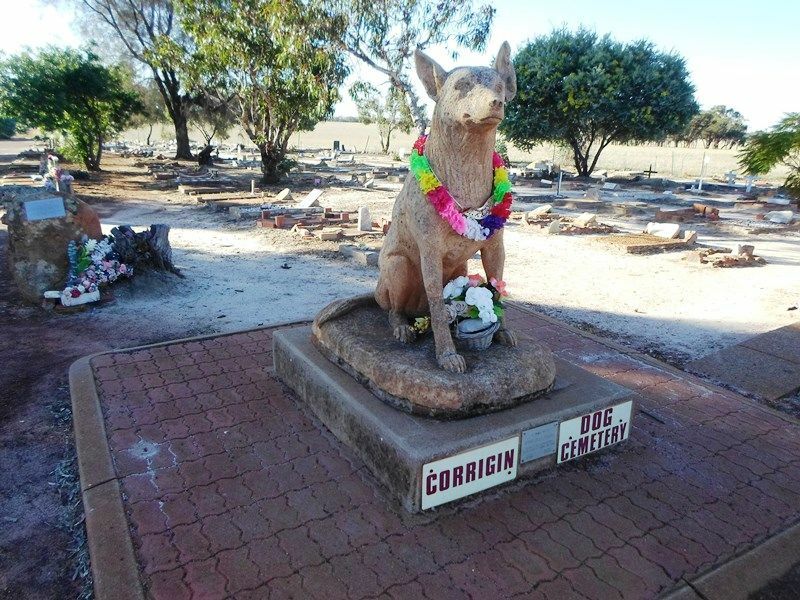 The Dog Cemetery was established in 1974 and the Corrigin Tourist Committee commissioned the large dog statue to commemorate "Man's best friend". 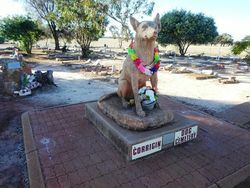 The site is significant as being unique and a commemoration of dog companions, demonstrating the compassionate nature of the Corrigin community. In 1975, when Paddy Wright's dog Strike died, this site was the softest earth he could find to bury his faithful friend. Many other people began to bury their dogs at the same site. Mr Alan Henderson began putting head stones on the graves, for the fee of a bag of cement. He also began to decorate the grave sites and headstones with decorative pieces he would find fossicking at the tip. 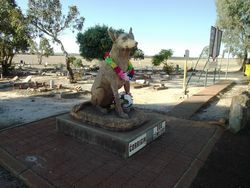 He would incorporate the dog's name and the owner's name in the headstones.